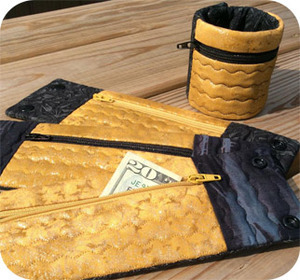 Need something to hold a few things ~ money, change, key, etc. ~ while you jog, walk or run out for quick errands? 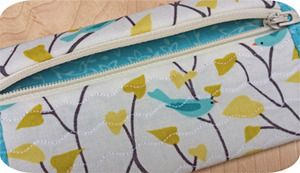 Our Wrist Wallet is made completely in the hoop of your embroidery machine. 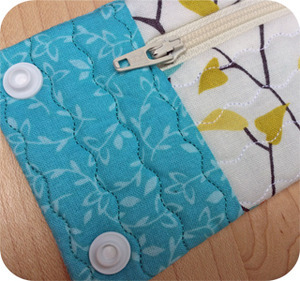 It features a zippered area and light quilting. It's fully lined and has no raw edges exposed inside. 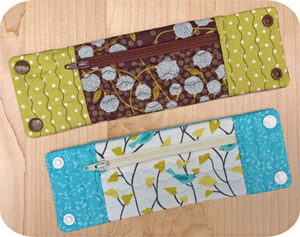 There are 2 sizes of wrist wallet designs included in the set. 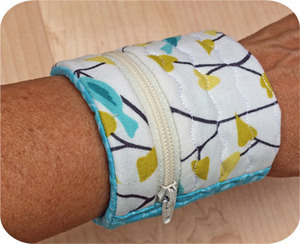 The snap placement allows for adjustments. 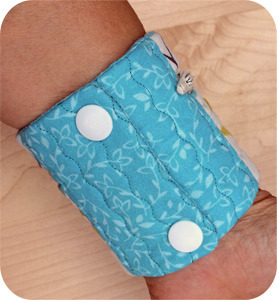 The small size is for wrists that measure approximately up 6 1/2" around. 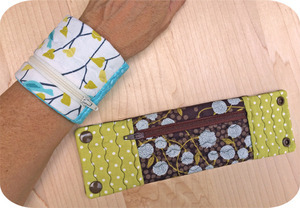 The large size fits wrists that measure 7" to 8" around.